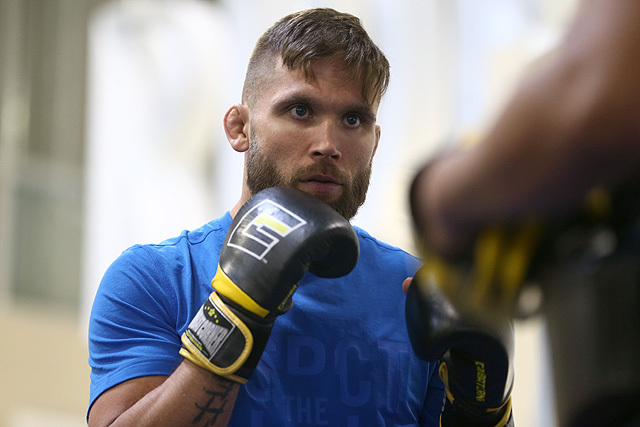 Never count out Jeremy Stephens. The veteran fighter has had plenty of ups and downs, but he had a huge moment on Saturday night when he put away Josh Emmett. 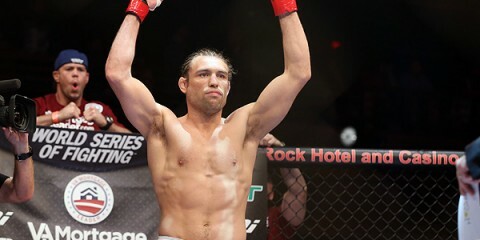 Emmett had been riding high, especially after a knockout victory over perennial contender Ricardo Lamas, but Stephens stole all of his momentum following the second-round finish in the main event of UFC on Fox 28. Stephens is still just 31 years old and might finally have found the right recipe for success at the highest levels. 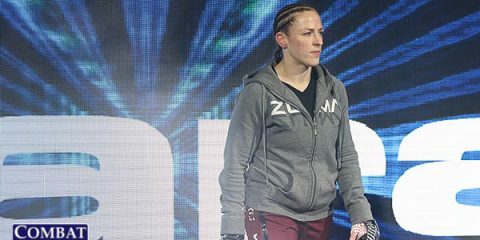 The underdogs had a huge night at UFC on Fox 28. Ilir Latifi submitted fellow light heavyweight Ovince Saint Preux, Max Griffin decisioned Mike Perry, Brian Kelleher surprised against former UFC bantamweight kingpin Renan Barão, Marion Reneau shocked Sara McMann, and Sam Alvey had plenty to smile about after scrambling Marcin Prachnio’s brains. Latifi is a ranked light heavyweight, but this guy still can’t seem to get any respect. 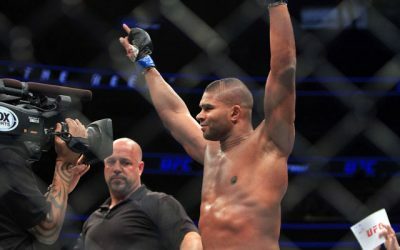 He was a relative unknown as a heavy underdog in his Octagon debut against Gegard Mousasi, but he held his own in the fight. While he’s had a good run ever since, with his only losses coming against Jan Błachowicz and Ryan Bader, Latifi entered his two most recent fights as an underdog. Yet, he has emerged with victories over Tyson Pedro and now Saint Preux. It’s time to stop overlooking the Swede. How about Kelleher, Reneau and Alvey? Kelleher put on a beautiful display of striking that even had the former champ Barão on his heels a few times in the fight. 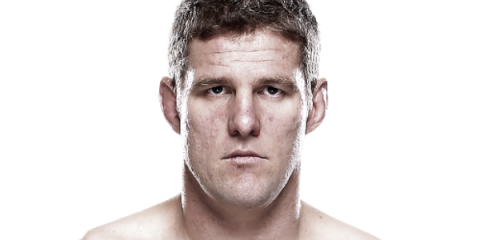 Kelleher entered the UFC as a veteran with a 16-7 mark, but he’s managed to win three out of his four UFC fights against some very legitimate opponents. Reneau, meanwhile, was squashed in what was easily a 10-8 first round, but she held in there and turned the tables on McMann in the second frame. As for Alvey, well, the knockout never comes easier than when an opponent marches straight at you with their chin up and their hands down. That was the equivalent of a batting-practice home run served up for Alvey, and he made the most of it. Shame on Fox for pushing the UFC off to Fox Sports 2 and FoxSportsGo in favor of a basketball documentary that could have run at any other time (or been shifted to FS2 when the UFC started). Even worse, it caused some fans to miss Alan Jouban’s big finish of Ben Saunders. If Fox is going to continue to do this in the future, it needs to provide access to FoxSportsGo to viewers who don’t subscribe to a cable provider. 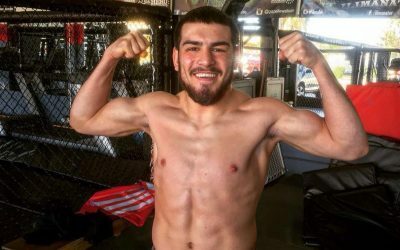 Manny Bermudez struggled early on in his UFC debut, but the longtime CES MMA and Cage Titans prospect proved he’s for real when he stopped Albert Morales in the second round. Bermudez is definitely a prospect to watch inside the UFC. 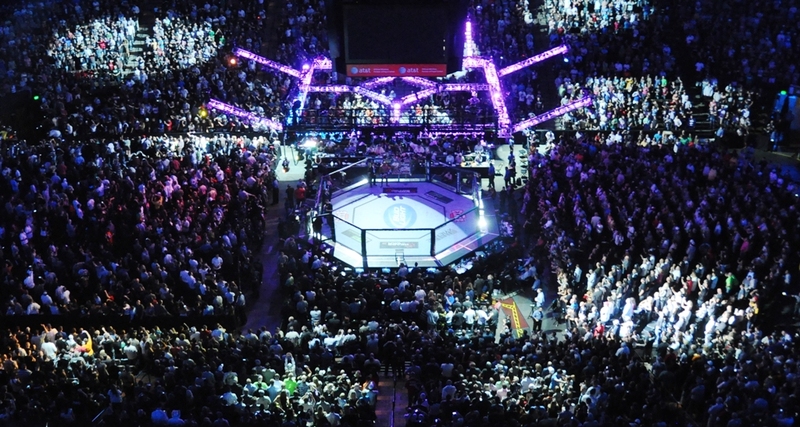 ONE Championship’s Quest for Gold card produced a two-division champion for the organization. Aung La N Sang, who already holds the league’s middleweight strap, moved all the way up to heavyweight and destroyed Alexandre Machado in just 56 seconds. The ONE card also gave us a glimpse into the skills of Phoe Thaw. Thaw landed a head kick that finished Sor Sey in the first round. 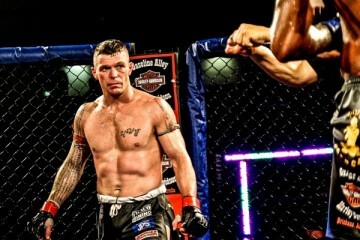 Thaw is now undefeated through six pro fights, all of which have come with the ONE promotion. He needs a step up in competition, though. On the regional circuit, Aslambek Saidov walked away with a decision win over UFC vet Roan Carneiro in the headliner of Absolute Championship Berkut 81 and Ivan Shtyrkov went the distance in a winning effort against Marcin Łazarz at RCC 2. These guys continue to be among the best outside of the big leagues. Bruno Gazani put on an absolutely dominant performance to win the WGP Kickboxing light middleweight title against Marcelo Dionísio at WGP Kickboxing 44. 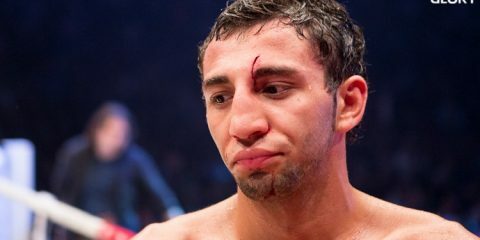 Gazani knocked down Dionísio three times throughout the five-round main event. 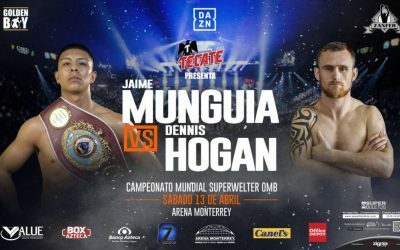 Gazani has now won seven fights under the promotional banner with his only losses coming against Ravy Brunow, who stole the microphone during the co-main event introductions to call out the super middleweight champion Diego Gaúcho. Other notable winners on the card were UFC vet Viscari Andrade and former Bellator fighter Emiliano Sordi, who picked up decision victories over Victor Valenzuela and Alexandre ‘Sagat’, respectively. 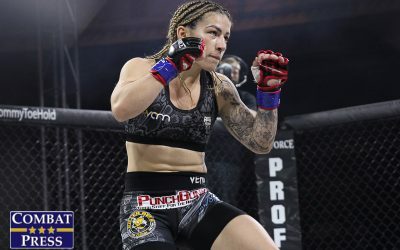 Also, GLORY middleweight champion Alex Pereira’s younger sister, Aline, put on a strong outing in a unanimous decision victory over Mayza Borges. Top-10 light heavyweight Igor Bugaenko picked up a decision victory over experienced French heavyweight Freddy Kemayo at ACB Kickboxing 13: From Paris with War. The win continues to push Bugaenko put the light heavyweight ranks despite being outside of GLORY, where the best in the division reside. The ACB events from MMA to grappling to kickboxing are known for the stoppages, but this fight card didn’t feature any as every fight went the distance. However, the French contingent Samy Sana, Djibril Ehouo, and Mohammed Diaby were victorious on their home turf. At Phoenix 5 on Monday morning, Rajadamnern stadium champion Youssef Boughanem proved he is without a doubt the best Muay Thai fighter at 160 pounds in the world with his knockout win over Lumpinee stadium champ Noppakaw Siriluck Muay Thai. The victory moved Boughanem into the discussion as one of the best Farangs in Muay Thai today regardless of weight class. It’s nearly unheard of for a foreign fighter to win a major stadium title in Thailand. However, the Belgian has defeated the reigning Rajadamnern and Lumpinee stadium champions in a matter of six months. Boughanem is now undefeated in 25 straight fights following the knockout win this morning. The flyweight and super flyweight divisions were on display yet again, with Superfly II emanating from the Forum in Inglewood, Calif. And much like the original Superfly event, the show delivered. In what was easily the best night of boxing in 2018, Srisaket Sor Rungvisai bested Juan Francisco Estrada in a 12-round classic. Sor Rungivisai retained his WBC world super flyweight title and continued his impressive run of victories that includes going undefeated since 2014, and defeating Roman Gonzalez twice. 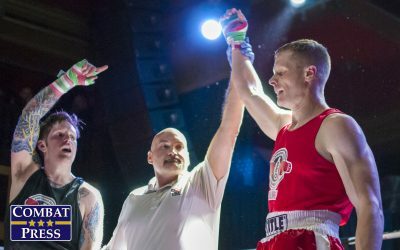 In the co-main, McWilliams Arroyo delivered an upset, defeating Carlos Cuadras on the scorecards. The opening bout of the main card saw Donnie Nietes retain his IBF world flyweight title, knocking out Juan Carlos Reveco. 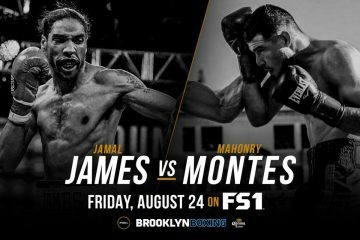 There’s already been pleas from boxing fans for a Superfly III card, which will hopefully come to fruition sometime in the summer. Maybe we get to see Naoya Inoue on the card? Either way, the lower weight classes are proving they belong under the bright lights. The World Boxing Super Series now has its’ finals set for the super middleweight tournament. Callum Smith defeated late-replacement Nieky Holzken, cruising to a unanimous decision victory. The scorecards for the fight were 117-111 twice and 118-110. Holzken, a former GLORY kickboxing champ, fought admirably but the skill level inside the ropes was too much. Smith connected on 202 jabs, according to CompuBox stats. That is now the second most all time for a super middleweight. For Smith, he is now set to face George Groves for the Muhammad Ali Trophy, given to the winner of the WBSS tournament. The fight will take place June 2 at the O2 Arena in London.